Have you ever started a project with enthusiasm only to hit the "what was I thinking?!" stage like a brick wall? Whether it is running out of paint or another unforseen interruption, reality and creativity collide and can derail the best of intentions. Chances are, you have or will meet similar obstacles along your path of projects. You know--the stage before the pretty "after" photos, when you want to cut your losses and run! Since I just journeyed this rocky terrain myself, I wanted to share the process: flaws, frustration and all. Hi Friends! 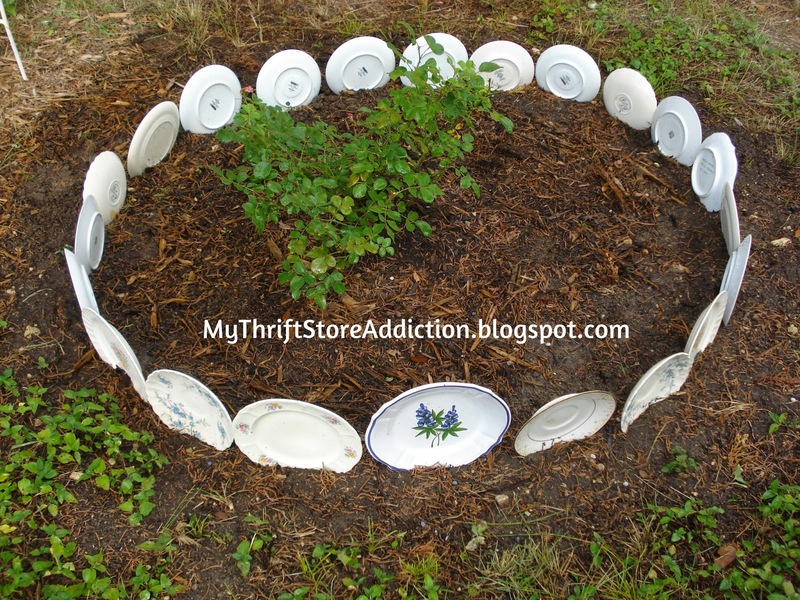 When I decided to add borders to some small rose bushes near my fence, I wanted to use recycled materials and since I have several roses, decided to try a few different ideas. I often see sweet little china plates for next to nothing and as I've mentioned before, I am a pushover for pretty dishes. I chose mostly floral patterns and I am really pleased with the results. In fact, this border turned out to be my favorite--it makes me think of an English cottage and having tea in the garden! Happy Wednesday Friends! Need a little mid-week inspiration? 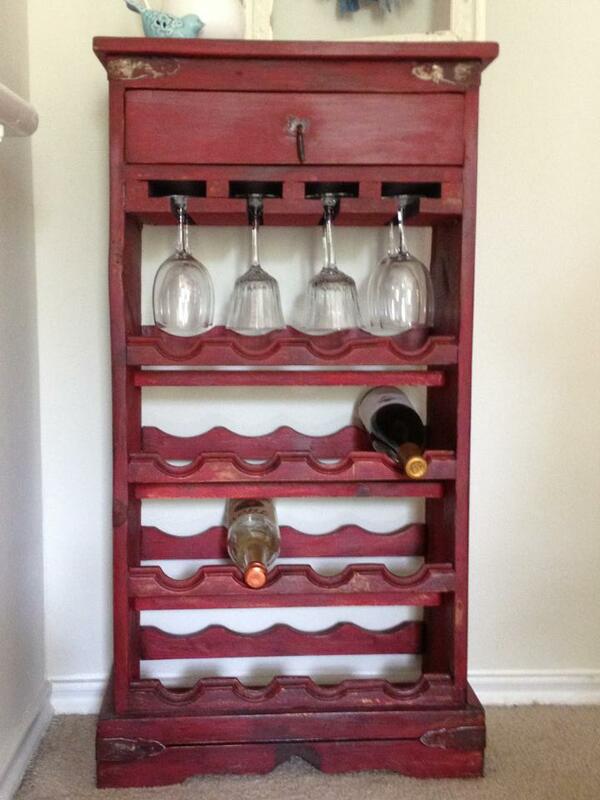 When her daughter downsized for a move, Stacy salvaged this wine rack and gave its natural wood a makeover. 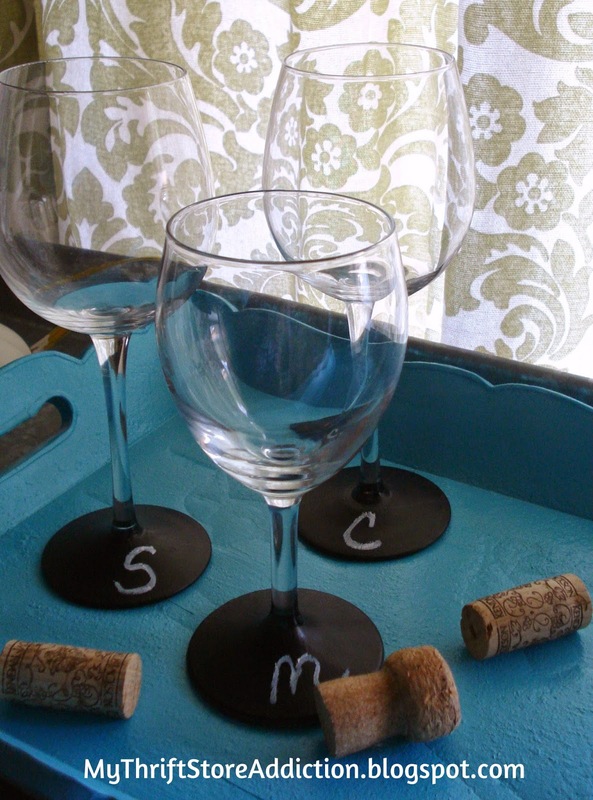 She mixed a chalk paint recipe from Pinterest using inexpensive flat paint and unsanded grout. She finished by brushing on dark stain, wiping it off and then setting the finish with wax. The results speak for themselves--cheers to her charming barn red transformation! Chalkboard Paint to the Rescue! Greetings Friends! Have you experimented with chalkboard paint yet? I've seen it used for projects big and small. From labeling herb pots, to painting a homework table or pantry door, it can provide a creative alternative and inexpensive solution for your next challenging project. Small bottles that can handle the average project can be purchased at craft shops while spray cans as well as larger cans for major tasks are available at home improvement stores. Expect to pay $5-$20 depending on the scale of your project. 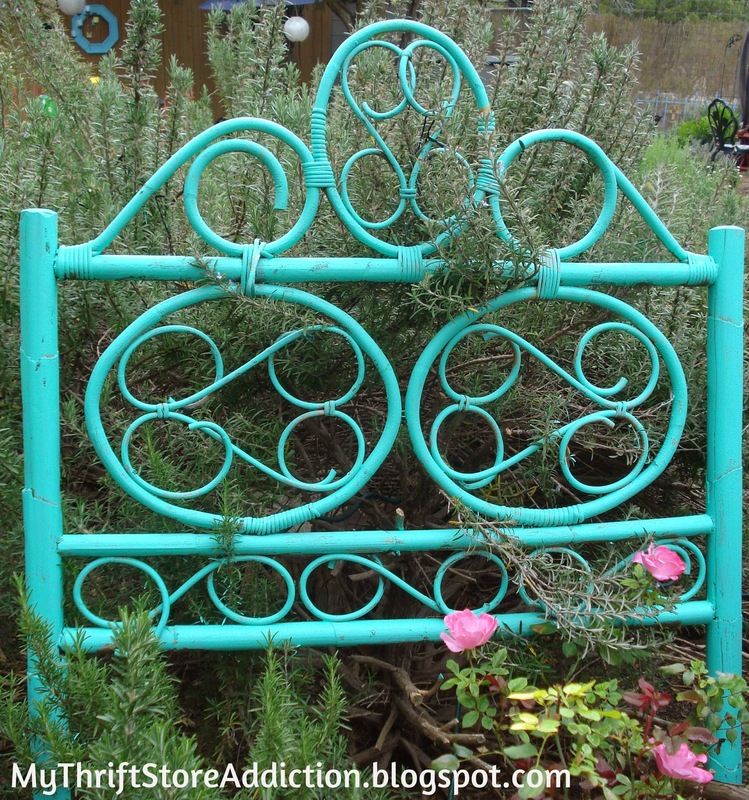 I thought I would share some of the ways I have used it in my home and garden. FYI, these all fall into the $5 bottle category. Thank God it's thrifty Friday, Friends! 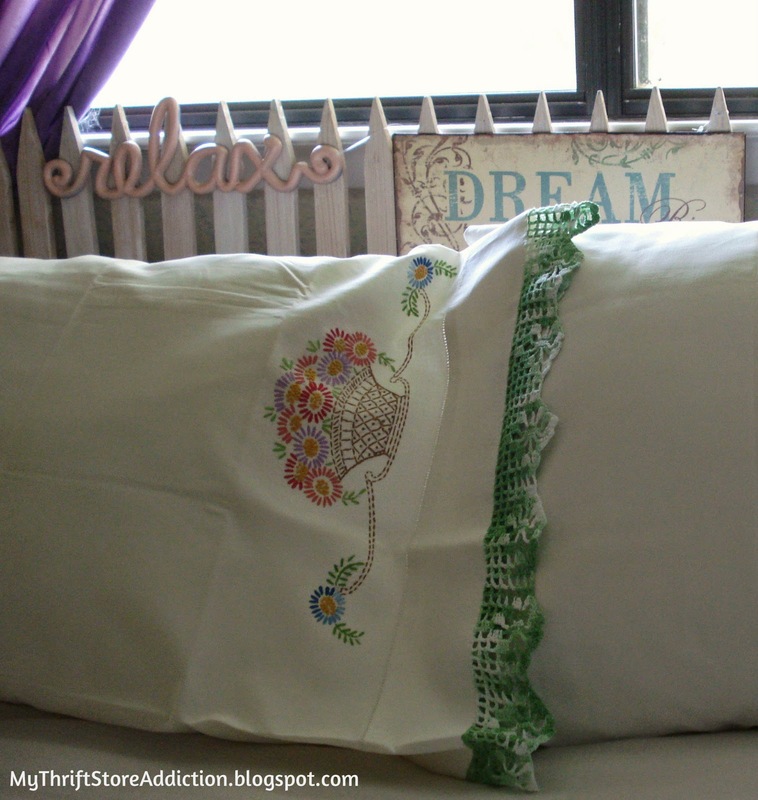 Anyone who knows me would agree that I am a"girl-y" girl, so I am a pushover for Vintage linens which provide the perfect combination of soft cotton, romantic lace and embroidered flowers...sigh! I literally wore out my favorite time worn pair-- so much so, that one ripped from my pillow when I was making the bed! While I used to spot these lovelies in abundance at estate sales, lately they have been harder to come by and today I was on a mission! Greetings Friends! When I was a little girl, I spent a lot of time at my grandmother's house. I have fond memories of sitting in her kitchen & drinking what she called "coffee milk". Today we refer to it as a latte and it is still how I prefer my coffee. Another sweet memory from Mo-maw's kitchen was her vanilla wafer layered banana pudding which she served from colorful Pyrex dishes. Still another recollection is riding with her and my Aunt Stella to Purple Heart and the Sand Dollar which were my first thrift store experiences. These trips were made that much more exciting by my Aunt Stella's reckless driving! Let's just say Aunt Stella was not the little old lady you get stuck behind and wish would speed up. More likely, she would be the one to swerve in front of you for a parking spot! Fortunately, I survived these trips unscathed. It wasn't until I had children of my own that I returned to my thrifting roots. Thank God it's thrifty Friday, Friends! Have you ever noticed that when you need a cute bag for a special occasion, there are none to be found?! I prefer large bags for everyday, but I don't want to haul one if I'm dressed for a wedding. 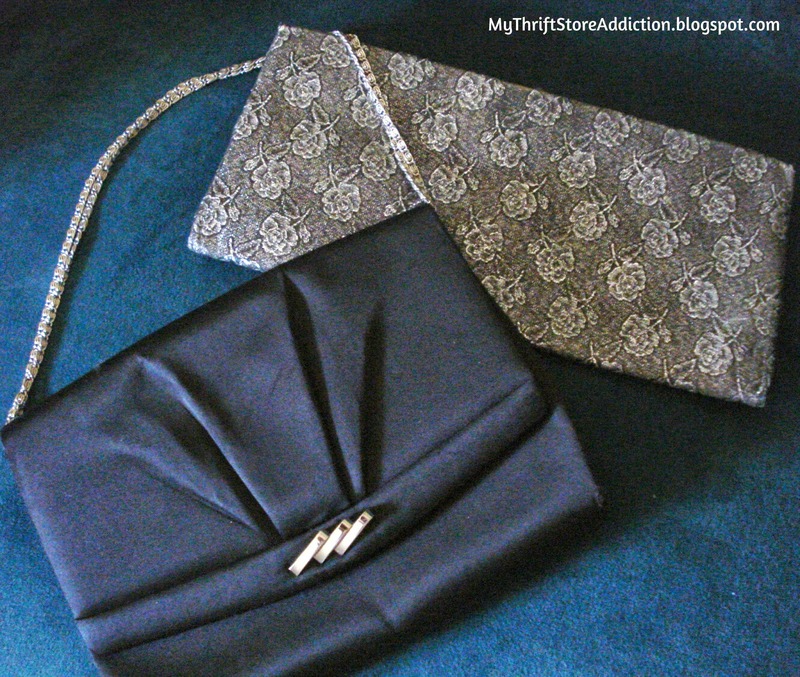 Well, look what I found today--not one, but two Vintage clutch bags! The skinny one has a beautiful rose pattern with silver metallic threads woven through its black background. I grabbed it from a sale hosted by one of my favorite companies: Golden Girls Estate Sales. The second, is a black satiny fabric with a classic silver chain and decorative clasp. It was stuck in the corner of a little resale shop I sometimes forget. For .70 I sure am glad I remembered today! Does Your Home Tell Your Story? Greetings Friends! Decorating your home offers a unique opportunity to tell your story and it doesn't need to drain your budget. 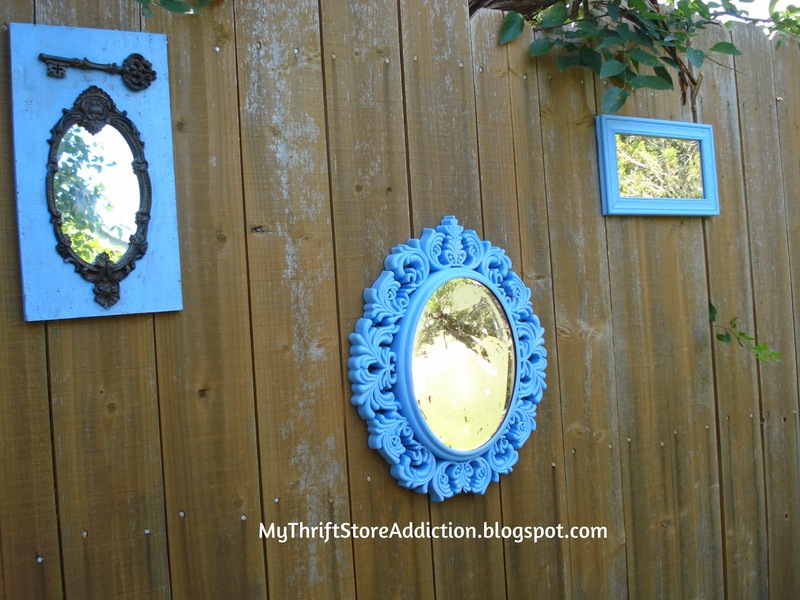 Consider combining thrift store finds with vintage pieces. Whether it is your grandmother's china or your favorite childhood book, vintage items lend their own history and add instant charm. 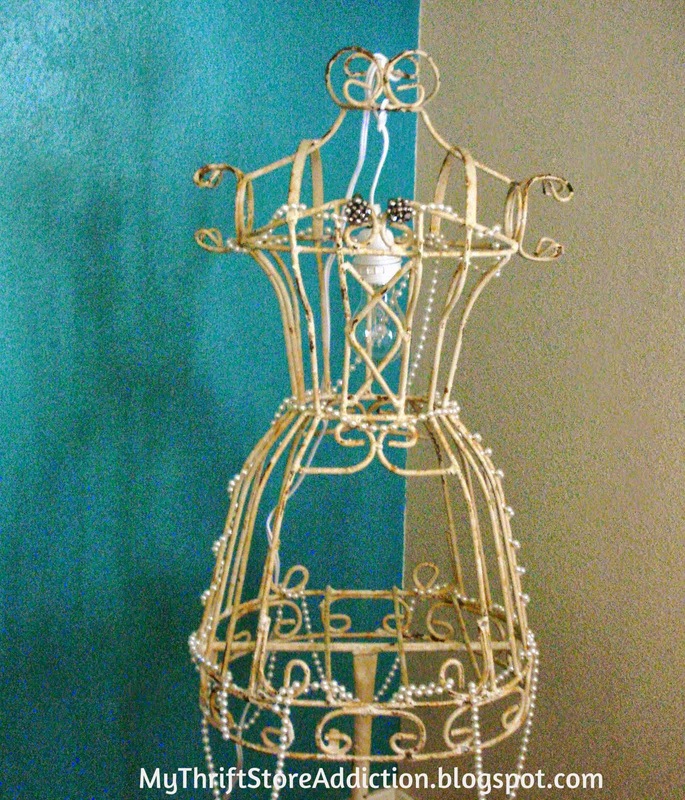 I favor using items in unconventional ways like this unique lamp repurposed from a thrift store dress form, Juliet. Add some faux pearls and a $10 lamp kit, and she makes me smile every time I walk by. Update: Want to see Juliet at Christmas? Thank God it's thrifty Friday, Friends! Hallelujah--the elusive dot bowl! Manufactured by Fire-King from the late 40s-60s, I had never seen them in a thrift store, and rarely in antique shops. 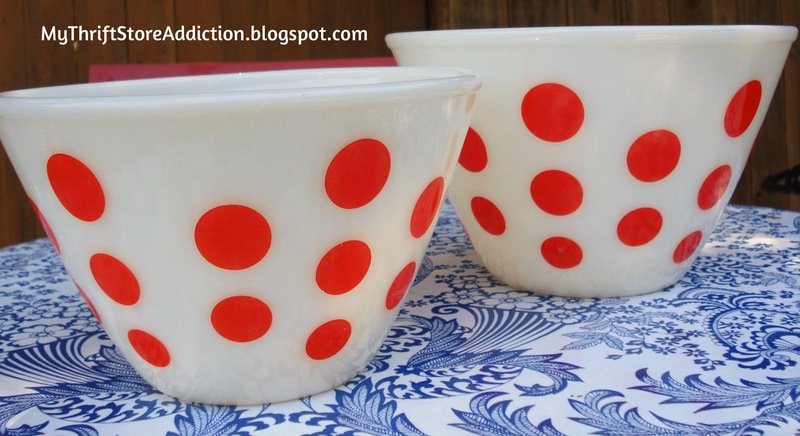 The good news: it was a complete set of nesting bowls in red--the color I would have specifically chosen and it was a fantastic bargain! Greetings Friends! I first fell in love with these pretty little green dishes known as Jadeite when I found three plates in a resale shop. 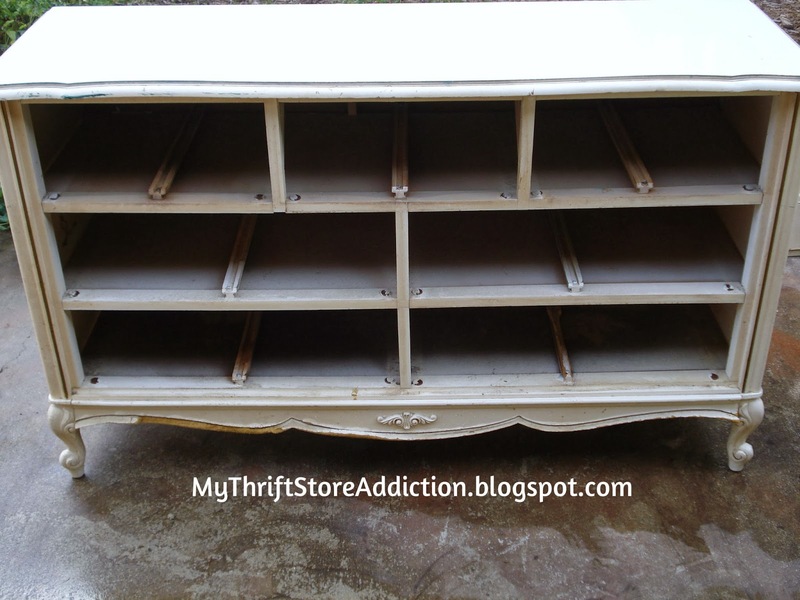 Since then, I've scoured thrift stores, yard sales, Etsy and an occasional antique shop--when the price is right, to hunt bargains for my collection. One of my friends refers to them as happy dishes and I have to agree! Jadeite was mass produced from the 1930s-70s primarily by Fire-King and McKee. 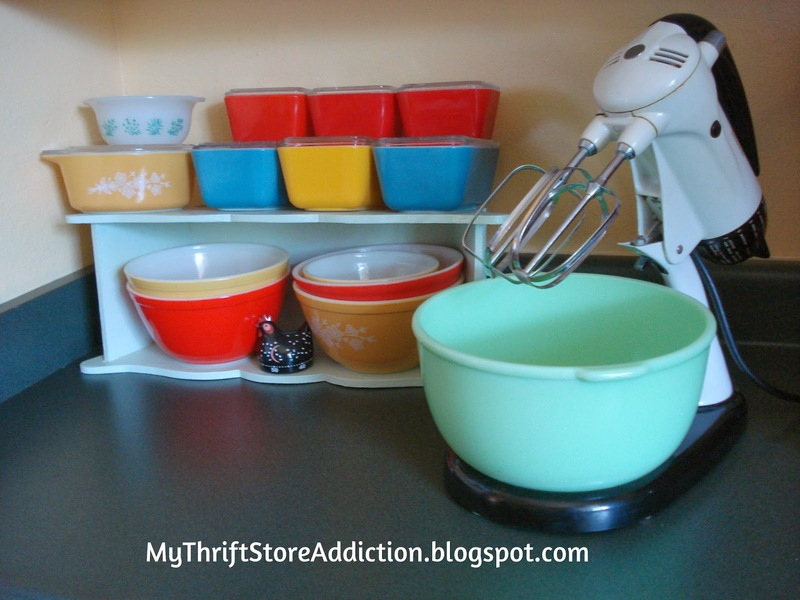 These days it can be pricey but originally, it was considered cheap restaurant ware. I read that Quaker Oats used to include a cup or saucer in their oatmeal canisters as a promotional offer. Now that is a prize I would like to find in my cereal box!